Late in World War II, Adolf Hitler is about to achieve his greatest victory: the capture of Solomon's Treasure, the world's most sacred treasure trove, representing both gold and precious gems as well as ancient knowledge. He believes it will guarantee his dream of a thousand-year Reich. Can Giselle Tchaikovsky, a young American woman who achieved fame as a teenage ballet dancer in the 1930s, stop Hitler's dream of world conquest? Can the secret Sisterhood she creates do anything against the Nazi juggernaut of men and machines? 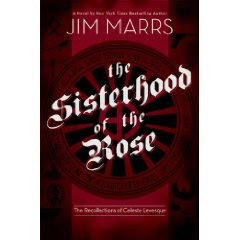 Will the Sisterhood bring about a resurgence of the feminine goddess aspect of humanity in time to spare the world this madman's holocaust? The first novel from Marrs, this book follows his New York Times bestseller "The Rise of the Fourth Reich." He uses his factual research into the Nazis' fascination with the occult and their search for iconic treasures as a basis for the novel. About Jim Marrs: A native of Fort Worth, Texas, Jim Marrs has worked as an investigative reporter for several newspapers, including the Fort Worth Star-Telegram. Marrs' in-depth investigation of UFOs, "Alien Agenda," is the bestselling UFO book ever; "Crossfire: The Plot That Killed Kennedy" was a New York Times bestseller, as was "Rule By Secrecy."